Water pollution contributes to the spread of disease and reduces quality of life. 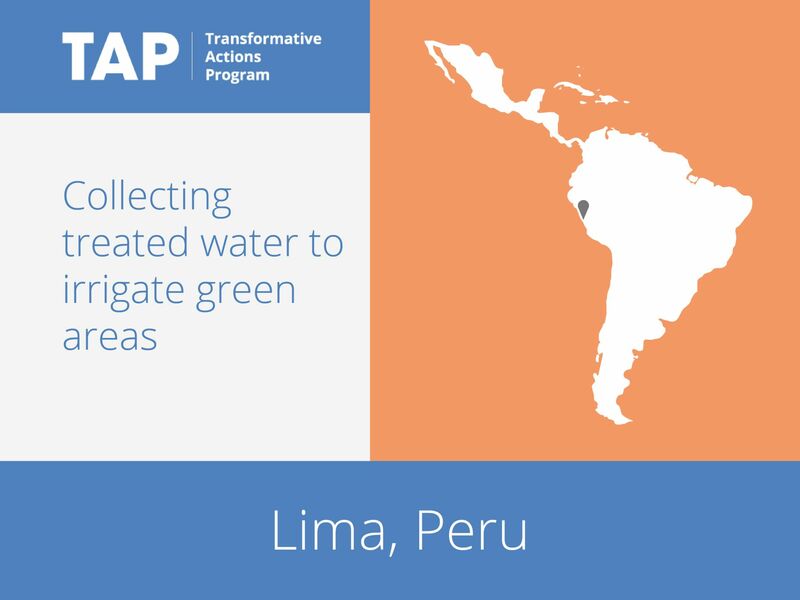 Lima is tackling pollution through the creation of wastewater treatment plants. The treated water will be used to irrigate green areas of downtown Lima. Twelve plants will be constructed, along with cisterns for collecting the treated water and transporting it on tracks to the adjacent green areas. Once this project has been implemented, the city will extend it by focusing on basic sanitation and the provision of clean water to households.